A working dog relates to a type of dog that is not simply a pet but acquires and executes tasks to serveor entertain its human associates. A working dog is one which has been trained to work livestock, regardless of its breeding. Although many of the working breed of dog no longer carry out the functions originally bred for, they still maintain an in bred ability to carry our tasks not normally noted by their owners. 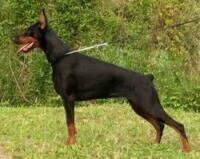 A typical example of the non use and extra breeding of the working dog would be show dogs. 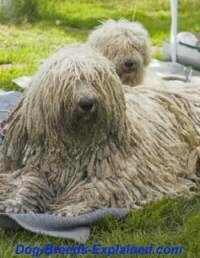 Apart from the fact that their breed makes them a working dog, it does not in fact bare any true resemblance to their original function. Most working dogs used as show breeds would be no good at moving livestock, search and rescue or guarding humans. Likewise, most true working dogs would never be able to concentrate and perform within the show ring. Never the less, many genuine working breeds are all the same very valuable as working dogs, and without them local economies would suffer greatly. Working dogs are commonly used as search and rescue dogs in cases of lost persons and disasters. The St. Bernard was historically utilized in Europe in the case of avalanches and lost travelers. Search dogs have located and saved thousands of humans in every dangerous situation from natural disasters to terrorist attacks. It is also well documented that numerous breeds of dogs were employed during World War I to locate wounded soldiers on the battle field. The breeding of working dogs originally started from selecting highly intelligent, fearless, alert mixed breed dogs and has proved to be valuable. They have desirable characteristics, such as loyalty and good temperament, and many working breeds are sought after as family pets. Working dogs make excellent family pets as long as you recognize that these dogs must be given 'work' to do in order to stay focused and friendly. Dogs that are not to be used for their original purpose must have proper dog breed training from a young age and are best suitable to active individuals and families. Obedience training, dog sports, informal or novelty shows, and trial work are all excellent channels for these breeds' energy. 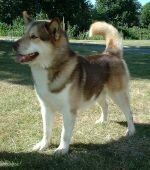 At the very least they must have regular daily walks or other exercise at an appropriate level for the breed. They should be given toys, played with, and provided with human company as much as possible. Working dogs that are chained, left alone, or ignored become bored, vocal, and even neurotic.They may even exhibit malaise, lethargy, destructive behavior or attempt to escape. Working dogs inappropriately chosen as pets are often surrendered to shelters for these reasons.